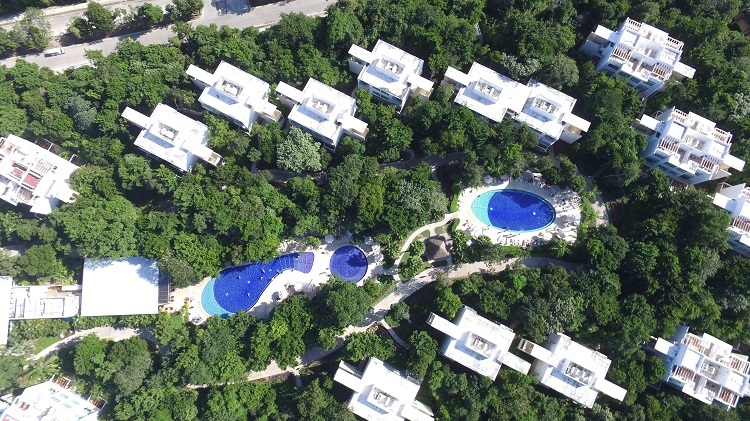 Luxury Bahia Principe Sian Ka’an all inclusive vacations invite travelers to the verdant Mayan jungle in Mexico. The contemporary design of this adults-only resort let the landscape of Riviera Maya take center stage wherever you look. It’s the perfect destination for a peaceful getaway that immerses you in tranquility and relaxation. 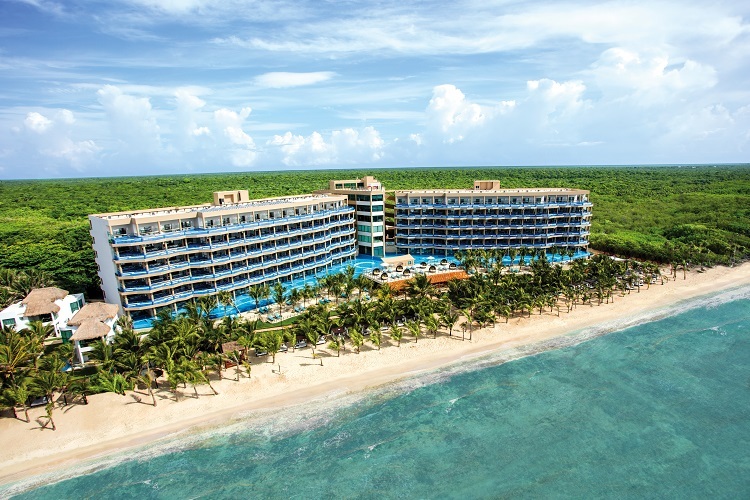 Your all inclusive experience at the Luxury Bahia Principe Sian Ka’an has everything you need for a memorable vacation. 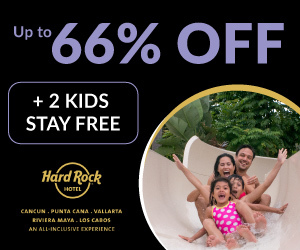 Your stay includes food and drinks, activities during the day and at night, transportation facilities, discount at the Riviera Maya Golf Club, and waiter service at the beach and pool. The resort also offers free 24-hour Wi-Fi so you can stay connected. 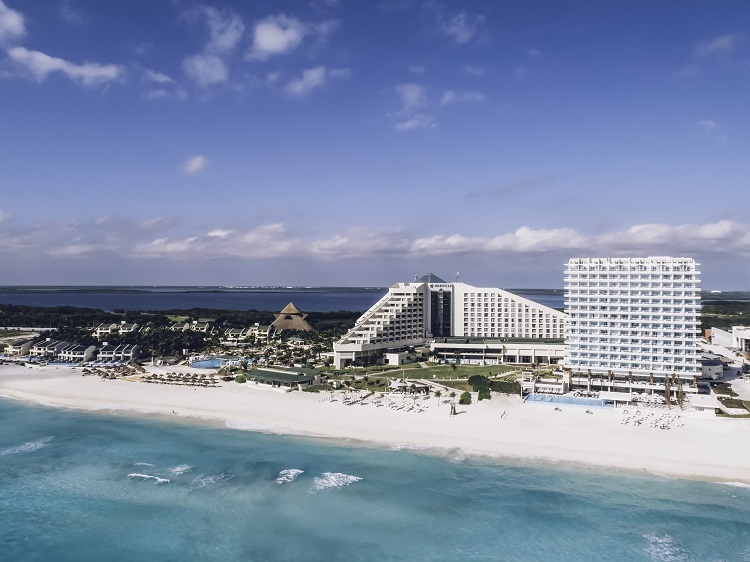 The Luxury Bahia Principe Sian Ka’an is part of an exclusive complex in Riviera Maya, which also includes the Grand Bahia Principe Coba, Grand Bahia Principe Tulum, and Luxury Bahia Principe Akumal. Guests will have access to the facilities and restaurants at these all-ages resorts. 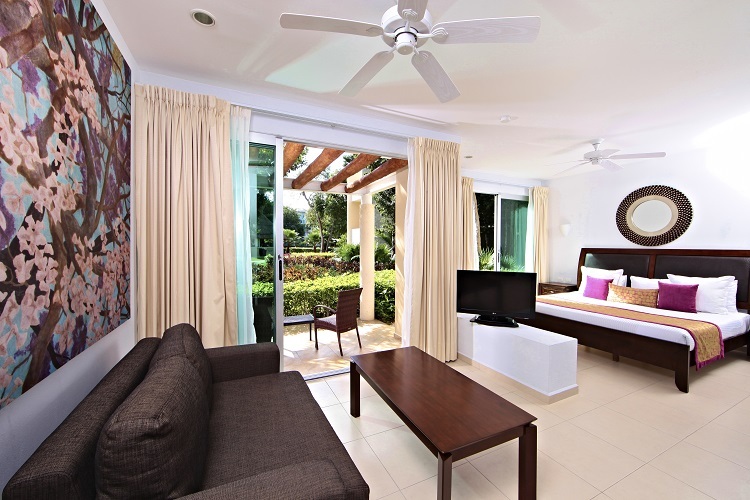 420 suites are situated within hacienda-style villas. They’re exceptionally spacious and feature minimalist decor plus all the necessities for a relaxed stay. You’ll enjoy 24-hour room service, a pillow menu, plush bathrobes, fully stocked minibar, balcony or terrace, and more. Select room categories feature an outdoor whirlpool tub for extra privacy and comfort. 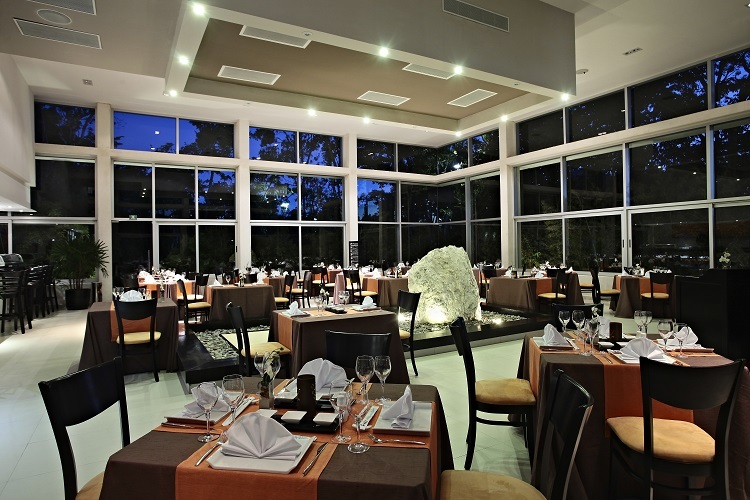 When hunger strikes, you can dine at the resort’s four buffets and a la carte restaurants. You’ll savor heaping plates of authentic international cuisine, whether you’re out by the pool or inside an elegant venue. Remember you can also visit any of the Bahia properties within the complex for additional dining options. You’ll enjoy flavors of Italy, Mexico, the Mediterranean, and more. Luxury Bahia Principe Sian Ka’an also serves tropical cocktails and other refreshing beverages. Lounge on the beach or next to the pool while sipping on your favorite drink, or enjoy evenings at one of the bars. 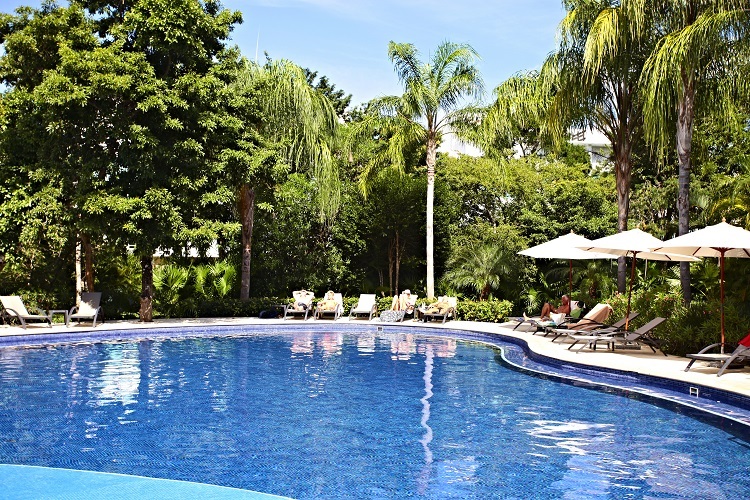 Four swimming pools surrounded by lush vegetation are perfect for vacationers looking to unwind. Land and water sports along with a fitness center are available for the active type. You can also visit the Dolphinarium, exclusive to resort guests who want to learn more about one of the ocean’s beloved animals. Watch the free daily show or choose from different packages for a more up close experience with the dolphins. Plus, the casino, karaoke bar, nightclub, and live shows will fill your evenings with hours of excitement. Golfers of all levels will enjoy playing on the Robert Trent Jones designed course while the Bahia Spa offers a range of soothing treatments. Ease your muscles with a massage or treat your skin to an invigorating facial. You can also indulge in body wraps, exotic rituals, a hydrotherapy circuit, and beauty services. 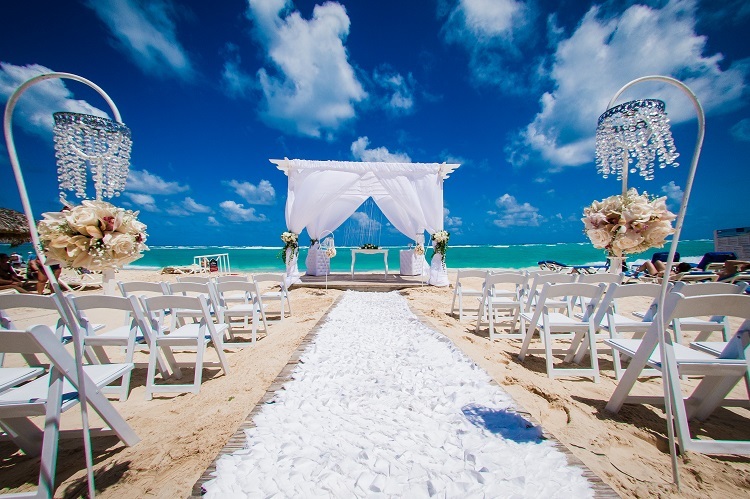 Couples who want a beach destination wedding will find that Luxury Bahia Principe Sian Ka’an is devoted to creating a fairy tale wedding. Personalized assistance from a wedding planning staff relieves you of any stress and helps bring your special day to life. Five wedding packages include essentials and romantic touches like late check out for the couple, wedding cake, floral décor for the ceremony, celebratory toast, and more to make every moment picture-perfect. A honeymoon package features special perks like a bottle of wine, discount on a couple’s massage, turn down service, and more so you can continue the celebration with your loved one. 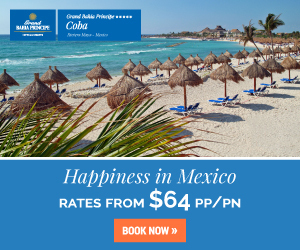 Luxury Bahia Principe Sian Ka’an all inclusive vacations ensure a quiet retreat wrapped in luxury. 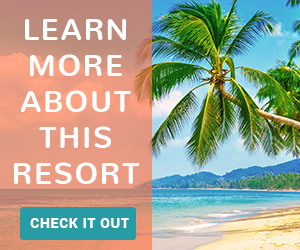 Visit All Inclusive Outlet to search through the best discounted vacation packages so you can enjoy new experiences and unforgettable moments in paradise.